Westlake Center Station: On the 3rd Floor of Westlake Center Mall (400 Pine Street). Seattle Center Station: at Seattle Center (305 Harrison Street) next to the Space Needle. 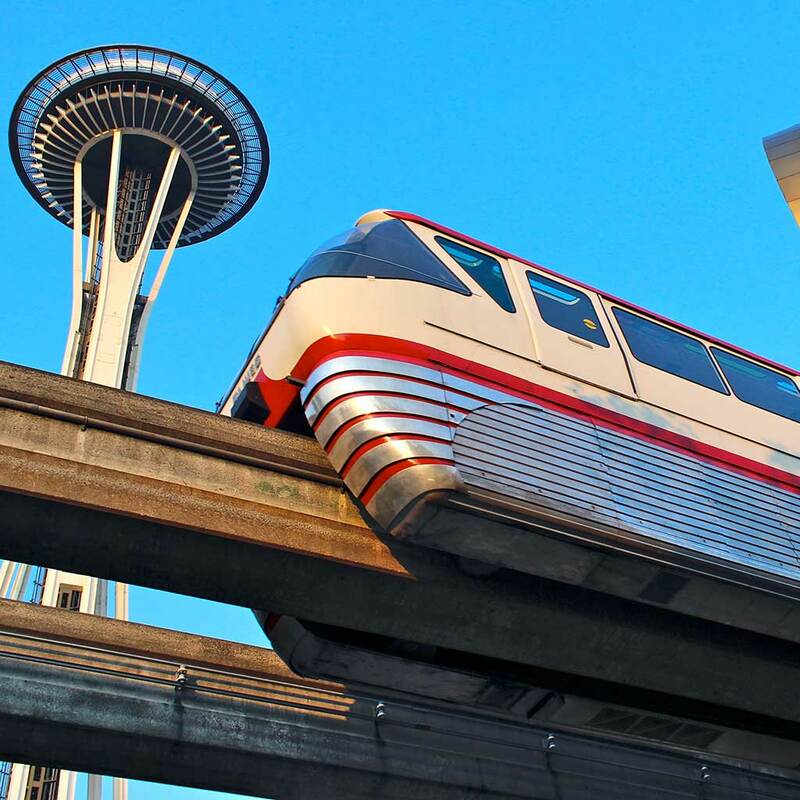 Seattle Monorail accepts cash and credit cards. Roundtrip rates are twice that of a one-way. We do not accept ORCA cards. 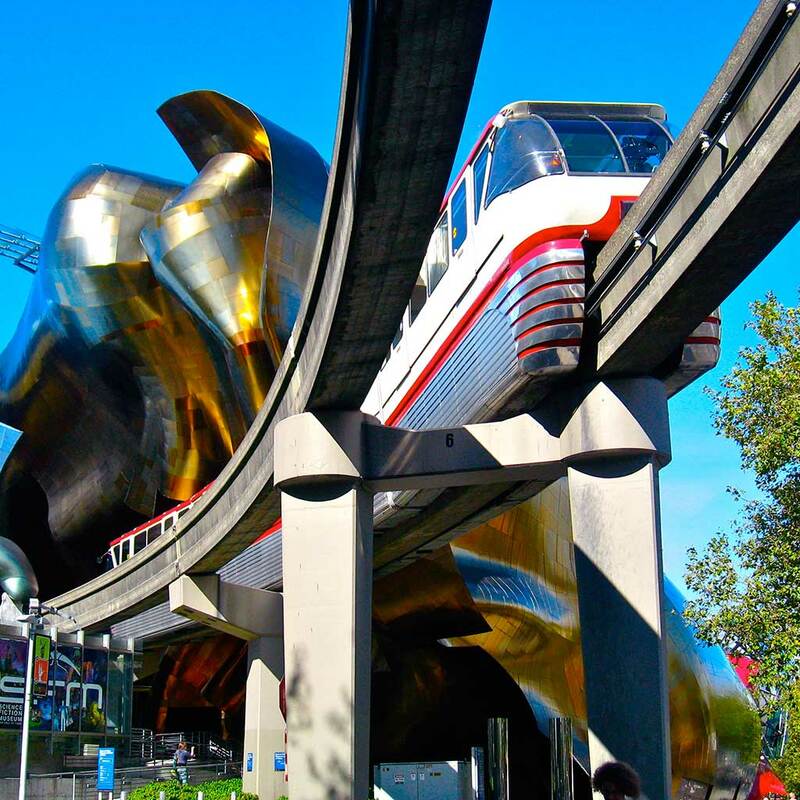 Built for the 1962 Seattle World's Fair, Seattle Center Monorail is the fastest way to travel between downtown and Seattle Center. 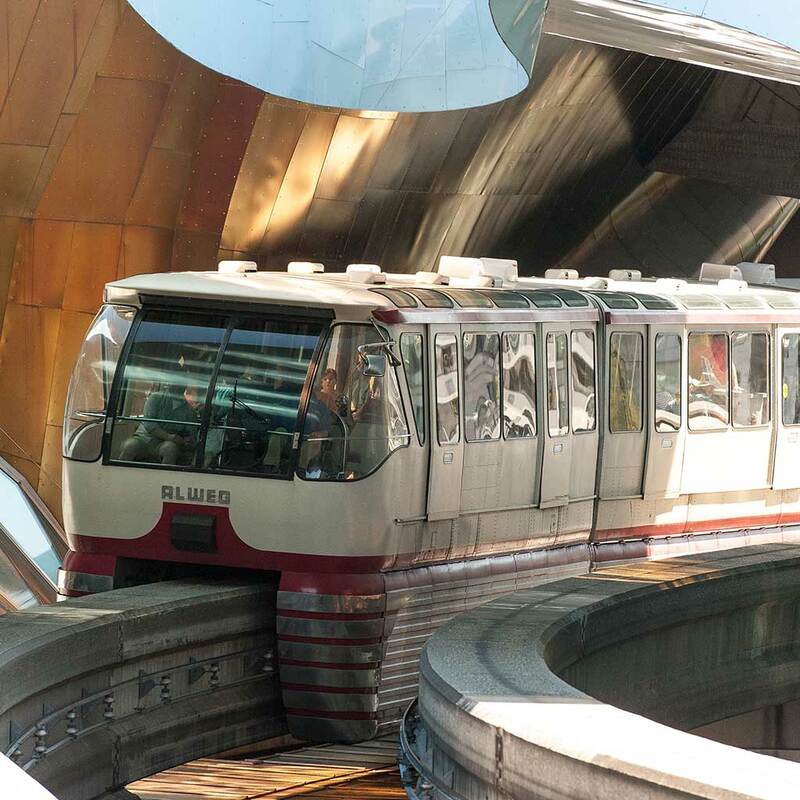 Glide into Seattle Center on the world's first full-scale ALWEG monorail system. Once there, visit the Space Needle, EMP Museum, Chihuly Garden and Glass, Pacific Science Center, KeyArena, Seattle Children's Museum or one of many other world-class attractions in close walking distance at Seattle Center. Or, travel to the heart of downtown Seattle where you will find yourself in easy walking distance to all major hotels, shopping, eateries and Pike Place Market with the Seattle waterfront just beyond. 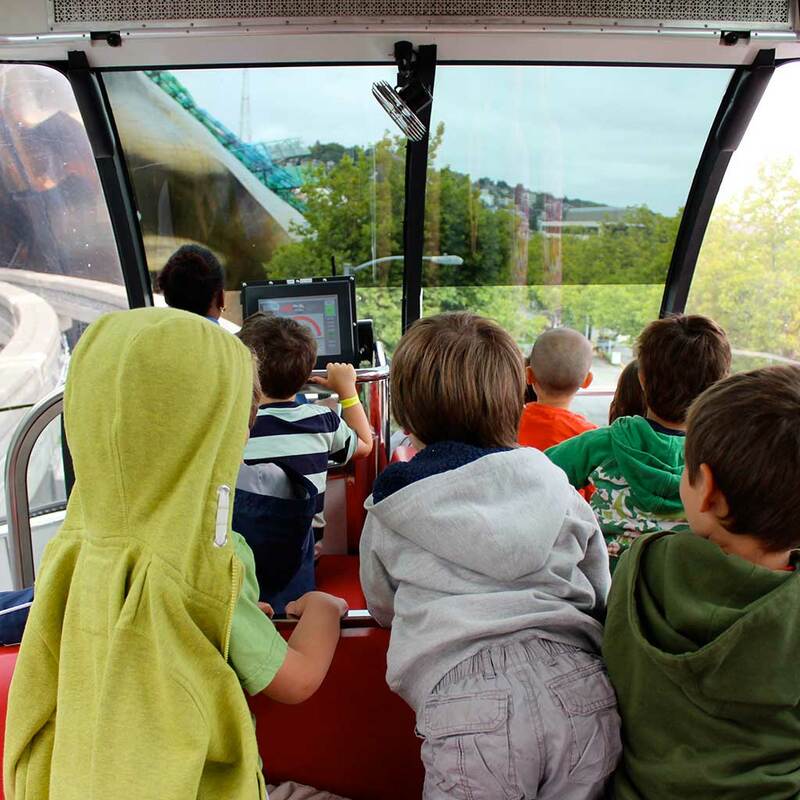 Open daily – Seattle Monorail departs approximately every 10 minutes! 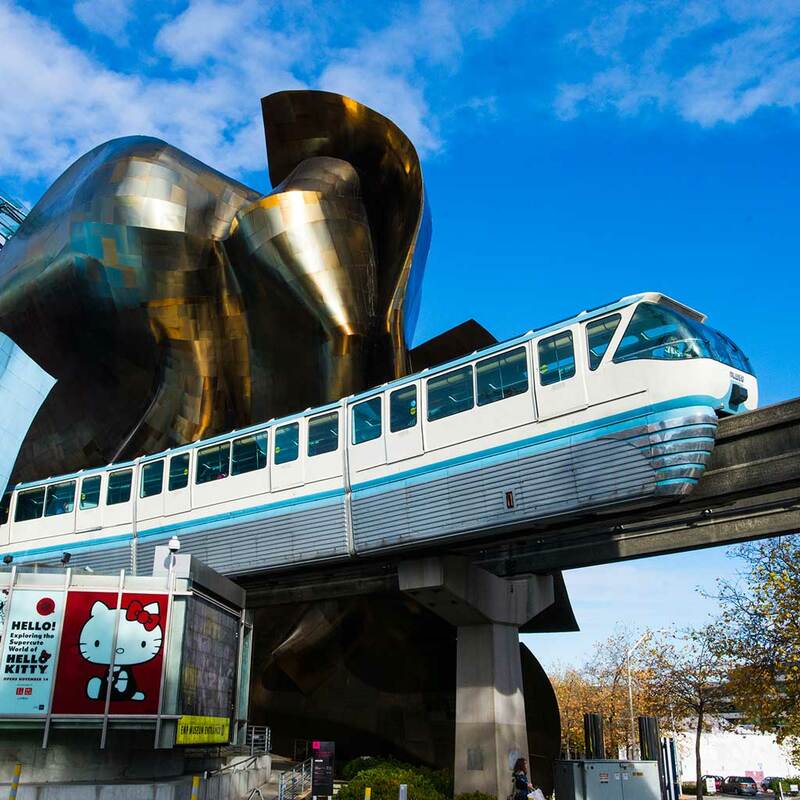 Visitor Tips: Seattle Center Monorail is cash only, they do not accept ORCA cards. 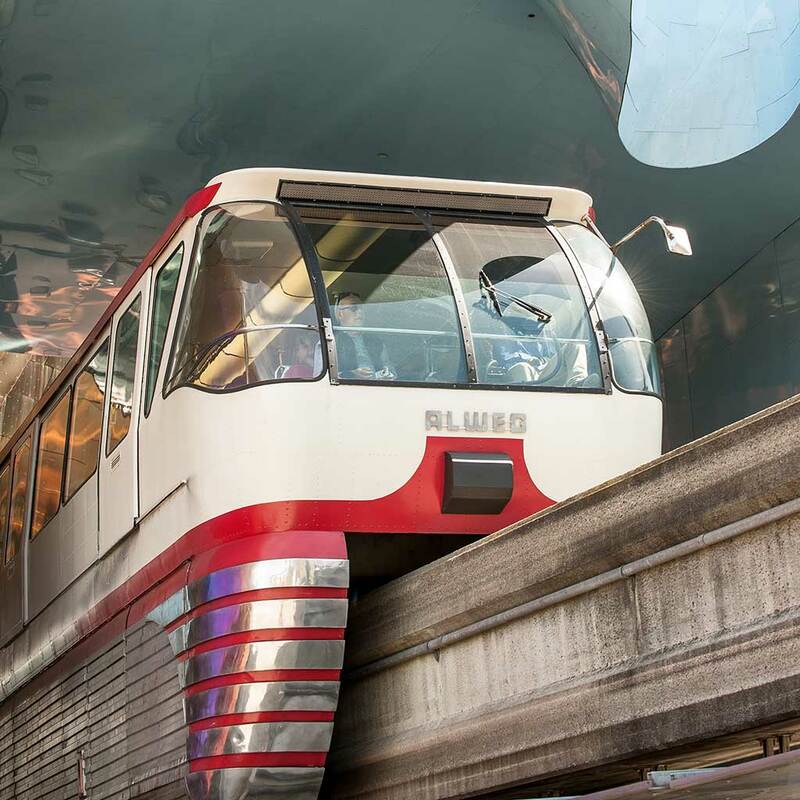 In our opinion, the best seat on the train is the front seat, next to the Monorail driver. 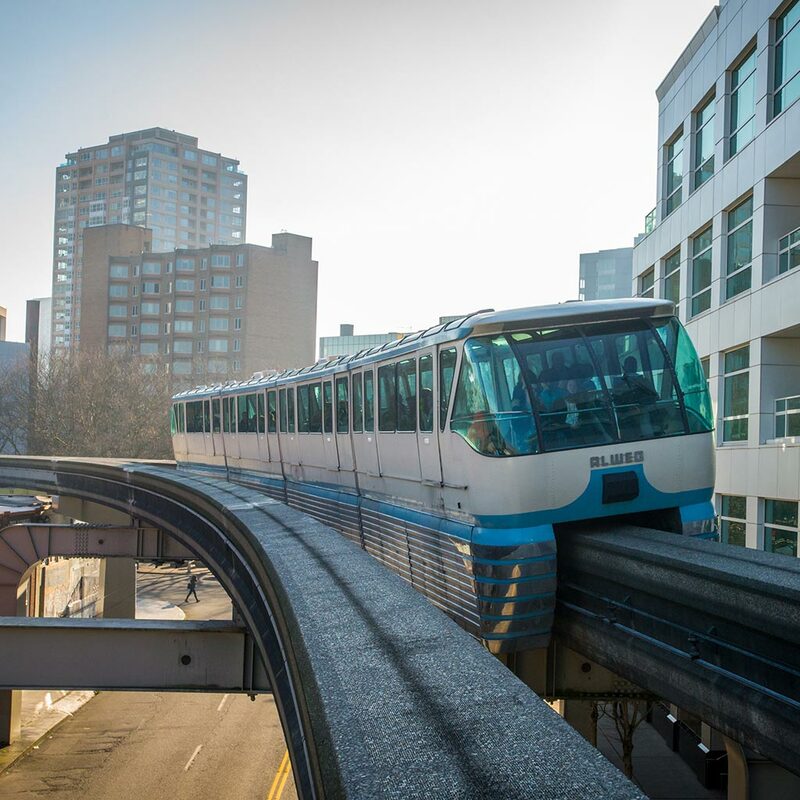 Be sure to visit the Seattle Monorail website for schedule changes and rider alerts.